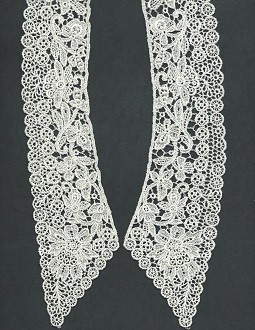 This is 100% cotton lace . 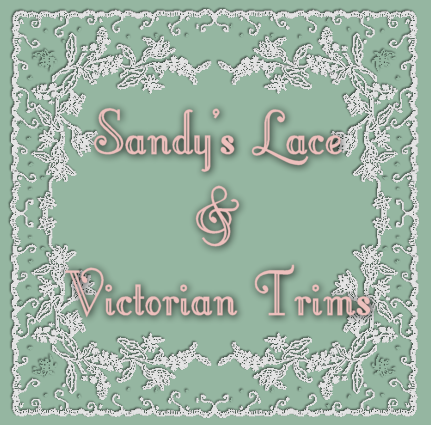 White only, 5/8 inch wide, 1 yard cuts. 100% Rayon, Ivory, 12" long by 2- 2 1/2" wide. 1 pair. 100% cotton, Color white, 10 yard cuts. 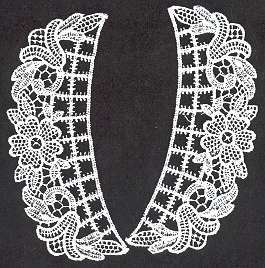 This is a French Lace, all cotton, 1 1/2" wide, white only, 2 yard cuts. This is a French Lace, all cotton, 1/2" Wide, Ecru only, 5 yard cuts . This is wonderful French insertition, 1/4" wide, white only, 5 yard cut. This is a beautiful French, all cotton, Black Lace, 3/4" wide, 5 yard cut. 1/8" Sheer Hat Straw, Burgundy, 15 yard cuts.